Such body should be responsible for recruitments and oversight of functioning of members of the Tribunals, the bench said. The Supreme Court, in its order on Monday, said it 'broadly' approves the concept of having an effective and autonomous oversight body for all the tribunals with such exceptions 'as may be inevitable'. Making benches of tribunals accessible to the common man at convenient locations instead of having only one location in Delhi or elsewhere. In the alternative, conferring jurisdiction on existing courts as special courts or tribunals. 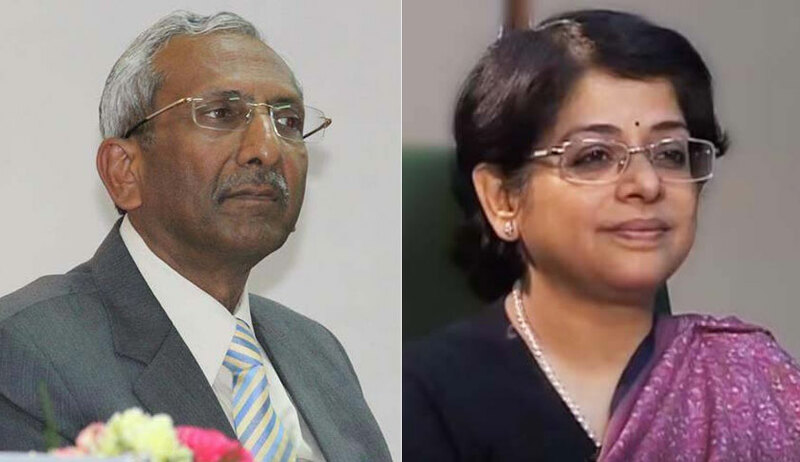 The bench was considering a special leave petition against the Kerala High Court judgment that had dismissed the challenge against vires of Section 13(5A) of the SARFAESI Act. During the course of hearing, the issue propped up as to whether norms for appointment to the tribunals are required to be revisited, to uphold the independence of judiciary. Senior advocate Arvind P Datar was appointed as amicus curiae. The court, in its order, also quoted suggestions made by amicus curiae about setting up of All-India Tribunal Service on the pattern of the U.K.
"The members can be drawn either from the serving officers in Higher Judicial Service or directly recruited with appropriate qualifications by national competition. Their performance and functioning must be reviewed by an independent body in the same was as superintendence by the High Court under Article 235 of the Constitution. Direct appeals must be checked. Members of the Tribunals should not only be eligible for appointment to the High Courts but a mechanism should be considered whereby due consideration is given to them on the same pattern on which it is given to the members of Higher Judicial Service. This may help the High Courts to have requisite talent to deal with issues which arise from decisions of Tribunals. A regular cadre for the Tribunals can be on the pattern of cadres for the judiciary. The objective of setting up of Tribunals to have speedy and inexpensive justice will not in any manner be hampered in doing so. Wherever there is only one seat of the Tribunal, its Benches should be available either in all states or at least in all regions wherever there is litigation instead of only one place," the bench said. The order records suggestion made by the amicus that there was need for an independent oversight body in the light of observations in L Chandra Kumar which have been reiterated in NCLT case (Madras Bar Association) (2015) to the effect that the tribunals or their members should not be required to seek facilities from the sponsoring or parent ministries or concerned departments. The court also quoted relevant suggestions from concept note submitted by the amicus. "The NTC should oversee the functioning of central Tribunals and similar body may be constituted for State tribunals. The NTC should deal with appointment and removal of members of the Tribunals by constituting subcommittees. The concept note also deals with further details on the subject. Further suggestion is that the member of the Tribunals should be recruited by national competition. Once recruited, they should continue till the age of 62/65 years subject to their efficiency and satisfactory working. The Tribunals should not be heaven for retired persons and appointment process should not result in decisions being influenced if the Government itself is a litigant and the appointing authority at the same time. There should be restriction on acceptance of any employment after retirement. There is also suggestion that bypassing of High Court jurisdiction under Article 226/227 needs to be remedied by statutory amendment excluding direct appeals to this Court. There should be proper mechanism for removal of members." Amicus also suggested that an independent body called National Tribunal Commission (NTC) should be constituted with two retired Supreme Court judges (with the senior-most amongst them to be chairman), two retired high court judges (members) and three members representing the Executive. The bench has also referred to various judgments in the matter of tribunals. It said: "Restructuring of Tribunal System in the light of constitutional scheme as interpreted in decisions of this Court and the Expert Studies is the issue for consideration. Concept of Tribunals was evolved to decongest the court system and to provide speedy and inexpensive justice. Separation of powers and independence of judiciary are the constitutional concepts which have to be followed in setting up of Tribunals. Functioning of Tribunals is required to be reviewed on the test of speedy and inexpensive quality justice."